1. Thinly slice the onion and put in a large mixing bowl. Add rest of the ingredients except oil and mix well. 2. Sprinkle little water and mix together to form a thick paste. 3. Heat oil for deep frying in a heavy bottom vessel. 4. Drop a spoonful of pakoda mix in hot oil and fry on medium flame until golden color. Serve with a cup of hot tea. 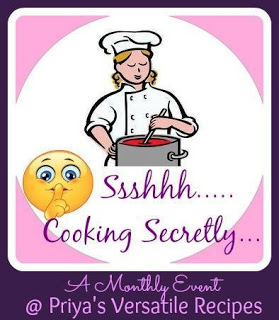 Linking this recipe to "Shhh Cooking Secretly Challenge", an event started by Priya. For the month of June, I am paired up with Shobana Vijay who gave me Cabbage and Onion as my secret ingredients. 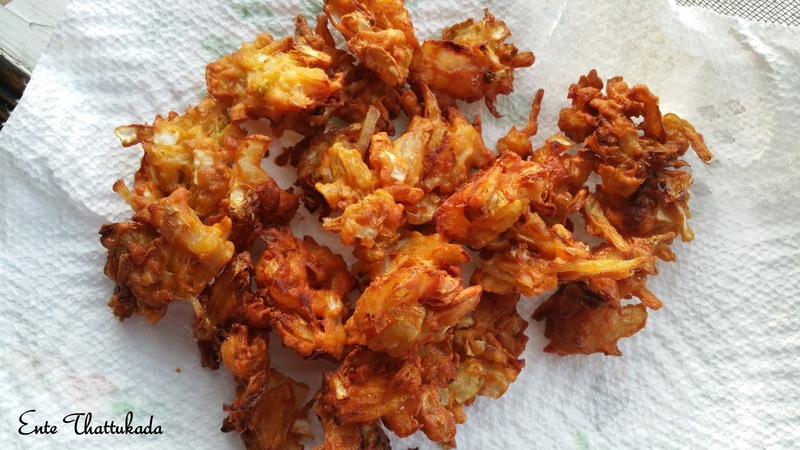 I like the simple and yet delicious bhajias. I make them with cabbage but next time will add onions too. Very crispy they are, i dont mind munching some rite now. Yummy, crispy n tasty bhajiyas ! well, another cabbage pakoda this time ! so crispy n tempting !